WHAT YOU NEED TO KNOW WHEN BUYING AND SELLING ARIZONA REAL ESTATE! Not surprising, living in Arizona is different from where you have been living before. Arizona Association of REALTORS publishes the Arizona Buyer Advisory that covers a number of very important topics unique to Arizona you need to be aware of as you strive to become informed Arizona home buyers. Included in this advisory are: 1) description of common documents used in the transaction, 2) common issues Arizona home buyers should evaluate when selecting and inspecting a home, 3) crime statistics to ensure you are safe, 4) noise contour maps around commercial and military airports, 5) areas prone to flooding or soil subsidence, 6) location of EPA super funds to deal with health risks, 7) pests indigenous to the desert and many more issues you should be familiar with and consider as you select and negotiate the purchase of a home in the area of your choice. 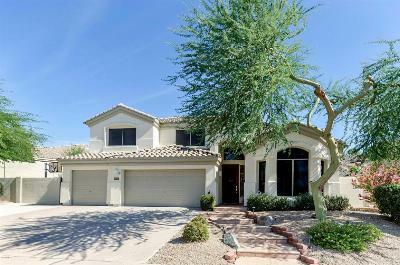 The purchase contract provides Arizona home buyers the first 10 days of an escrow to inspect and thoroughly evaluate the suitability of Arizona properties. Use this time wisely to diligently inspect and evaluate the property because once ended, there is no other opportunity for the Arizona buyer to object to the condition of the property, cancel the purchase contract and have buyer earnest money returned without a significant change in the condition of Arizona property occurring during escrow. A companion document is the First American Title Home Buyers Guide. It explains the Arizona escrow process that is performed by escrow companies regulated by the Arizona Banking Commission, unlike other parts of the country where real estate attorneys process real estate closings. A chart on page 11 shows the customary split of closing costs between Buyer and Seller in a real estate transaction. Arizona Association of Realtors resale purchase contract requires the seller pay to deliver marketable title to the buyer at time of closing. Whereas in most states the buyer pays all title charges. Beware when you purchase a new home from an Arizona home builder, where the Arizona home buyers will be paying all title insurance charges because the builder’s own purchase contract, approved by the Arizona Department of Real Estate, conforms to national standards of practice. By reading both of these documents before you begin your search for your new home provides you with the knowledge needed to make the best home purchase decision. Call, text or email Sam with questions, request more information or insight into the best areas in the Arizona Valley of the Sun that are well suited to your tastes and needs. Sam has lived in and owned homes in multiple states and practiced real estate 29 years in four states: Arizona, California, Florida, and Texas. The other states where Sam has lived and owned homes are: Connecticut, Massachusetts, Maryland, and Virginia to personally experience differences in real estate practices. Learn more about these AZ cities in his service area: Chandler, Gilbert, Mesa, Phoenix, Scottsdale, Tempe, Arizona retirement communities and investment property. Sam brings his vast real estate experience to help you decide which home is your best choice to purchase and own, based upon your criteria for your perfect home.